56 years ago, on September 16, 1953 American Airlines flight 723 flew between the center and northeast towers of the WPTR antenna system while attempting to land at Albany County Airport. The plane crashed about 3/10 mile away near NY route 5 (Central Avenue) killing all 28 persons on board. To date, this is the worst aviation accident in the Albany, NY area. This is the statement of the transmitter engineer on duty at the time of the crash. 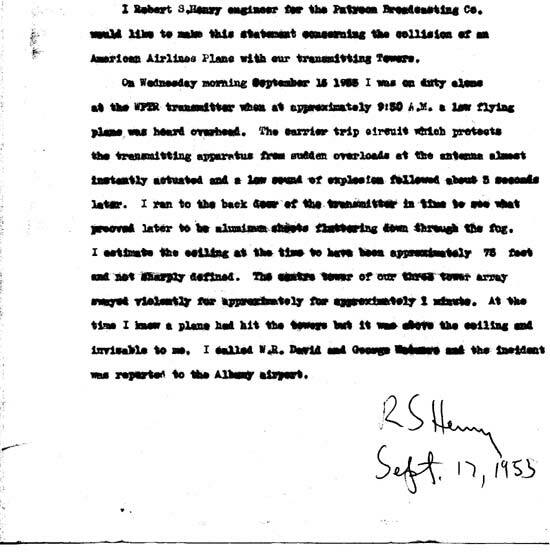 I, Robert S. Henry engineer for Patroon Broadcasting Co. would like to make this statement concerning the collision of an American Airlines Plane with our transmitting towers. 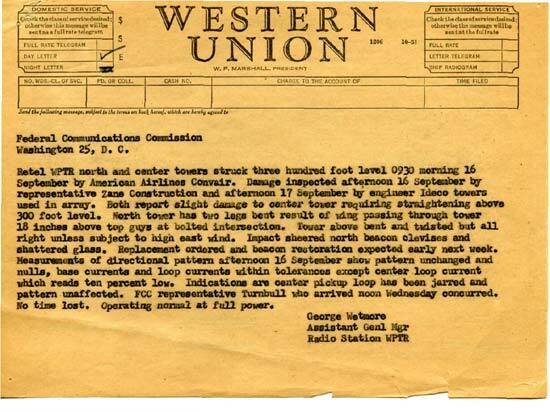 On Wednesday morning September 16, 1953 I was on duty alone at the WPTR transmitter when at approximately 9:30 A.M. a low flying plane was heard overhead. The carrier trip circuit which protects the transmitting apparatus from sudden overloads at the antenna almost instantly actuated and a low sound of explosion followed about 3 seconds later. I ran to the back door of the transmitter in time to see what proved later to be aluminum sheets fluttering down through the fog. I estimate the ceiling at the time to have been approximately 75 feet and not sharply defined. The centre (sic) tower of our three tower array swayed violently for approximately for approximately (sic) 1 minute. At the time I knew a plane had hit the tower but it was above the ceiling and invisable to me. I called W. R. David and George Wetmore and the incident was reported to the Albany airport. Back in these days, the studios were located at the Hendrick Hudson Hotel in Troy, the transmitter site was manned by a licensed transmitter engineer when ever the station was on the air. What is amazing is that the IDECO towers remained standing after being struck by Convair 240, a pretty good sized aircraft. American Airlines’ Flight 723 was a scheduled flight between Boston, and Chicago, with intermediate stops among which were Hartford (BDL), and Albany (ALB). The CV-240 arrived at Bradley Field at 06:57. Weather at the next stop, Albany, at this time was below the company’s landing minimums, but was forecast to improve to within limits by the time the flight arrived there. Departure from Bradley Field was made at 07:14. Because of poor visibility at Albany, several aircraft were in a holding pattern. The special Albany weather report issued at 07:50 indicated thin obscurement, ceiling estimated 4,000, overcast, fog, visibility 3/4 miles. Two aircraft left the holding pattern, attempted to land, but both executed a missed approach procedure. A third airplane landed at 08:16 following an instrument approach to runway 19. Immediately following this landing, Flight 723 was cleared to make an instrument approach to runway 19. Three minutes later the flight advised the tower that its approach was being abandoned because the aircraft’s flaps could not be lowered. At 08:30 Albany Tower reported:”All aircraft holding Albany. It now appears to be pretty good for a contact approach from the west. It looks much better than to the north.” Flight 723 was then cleared for a contact approach to runway 10. 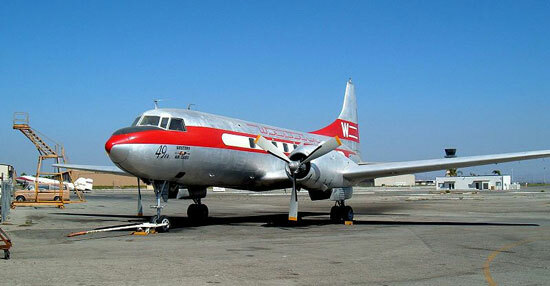 On finals for runway 10, the Convair descended too low. The right wing of the aircraft struck the center tower of three radio towers at a point 308 feet above the ground. The left wing then struck the east tower. Seven feet of the outer panel of the right wing including the right aileron and control mechanism from the center hinge outboard together with 15 feet of the left outer wing panel and aileron separated from the aircraft at this time. Following the collision with the towers, ground impact occurred a distance of 1,590 feet beyond the tower last struck. First ground contact was made simultaneously by the nose and the left wing with the aircraft partially inverted. 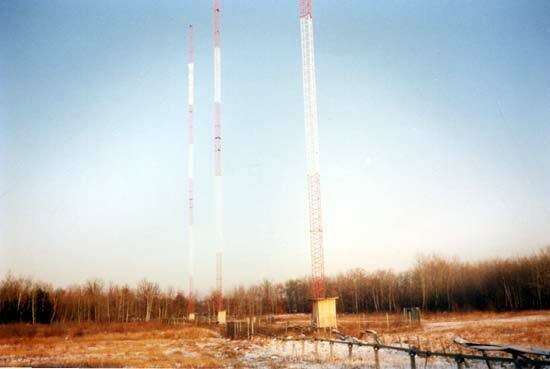 IDECO stood for the Internation Derrick Company, they build cranes, derricks and bridges as well as radio towers. Apparently they made pretty good stuff because those same towers are still standing today. Not that checking the tower lights would have averted disaster in this case, it appears to be pilot error compounded by bad weather that caused this incident. But there have been more recent aircraft/radio tower accidents, some of which have involved possible faulty tower lights. I wouldn’t want that on my conscience.